Cook oatmeal as directed. Stir in remaining ingredients. That's all. Enjoy! 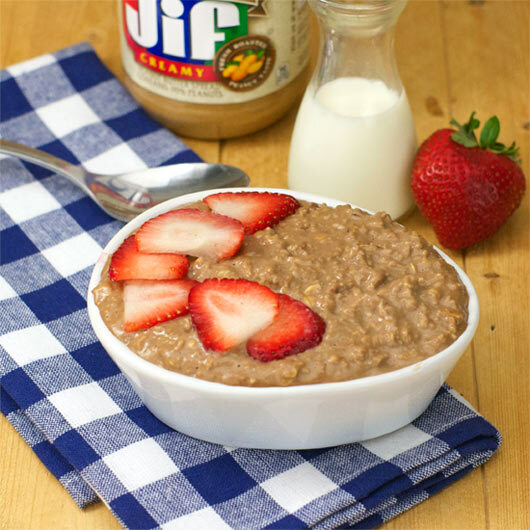 Tip: You can make this and then refrigerate it to have in the morning. 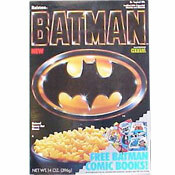 Microwave for about 45 seconds - stirring once at 25 seconds - and it's just as good as when it was just made. Tastes just like a delicious no bake cookie. 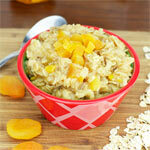 A quick concoction that uses packets of instant oatmeal and Carnation instant breakfast. 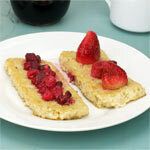 Mr Breakfast would like to thank smilingfish for this recipe. 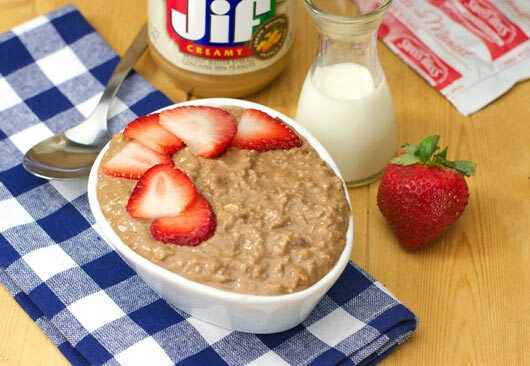 What do you think of Chocolate Peanut Butter Oatmeal? Not pretty, but definitely tasty. I used 1/2 packet of generic cocoa mix. I liked it. This also works with a packet of hot cocoa mix like Swiss Miss and you don't need the sweetener if the cocoa mix is pre-sweetened. 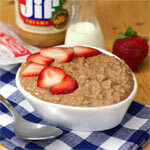 Another option is to put a scoop of chocolate whey protein powder instead or along with the instant breakfast. It tastes awesome but sits like a brick in your stomach. I just ate some though. 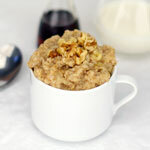 A simple, yet very tasty oatmeal. It was a welcome change from our usual cinnamony variety!